Following a quick tube ride straight after work, I found the fifty minute journey from King’s Cross a pleasing start to my weekend trip to visit my friend, Roland, in Cambridge. There were no feet on seats or loud mobile phones on this train. Evidence suggests pre-Roman activity in the area, but it is generally accepted that the Romans built the first town. On my visit I saw some pretty amazing buildings such as the Church of the Holy Sepulchre which is known as the Round Church and is next door to the world famous Cambridge Union Society. It was built by the Knights Templar and is one of only four round Norman churches in England. At this time, the town was known as Grentebrige or Cantebrigge. 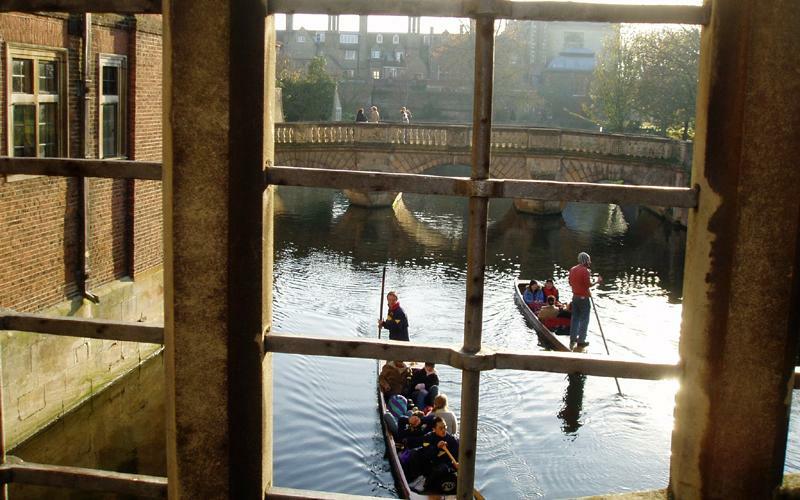 In 1209 some Oxford students moved to Cambridge, later founding its first college, Peterhouse, in 1284. Other colleges, such as Gonville, Pembroke and Corpus Christi, were formed until 1352. Colleges were again formed from 1428 to 1594 including King’s, Trinity, Magdalene and Gonville & Caius (of which Stephen Hawking is Lucasian Professor of Mathematics in succession to Isaac Newton). With the exception of Downing College in 1800, there were no new colleges until 1869 from which time a number of philanthropic foundations opened up the University to a broader section of society including women and the middle-classes. There are today 31 colleges. As the University grew, trouble broke out between Town (local residents) and Gown (the students). I like to think that this compares to the Old Steine battles between the original fishing families of Brighton and the rich Regency outsiders. In both cases, the outsiders came out victorious. 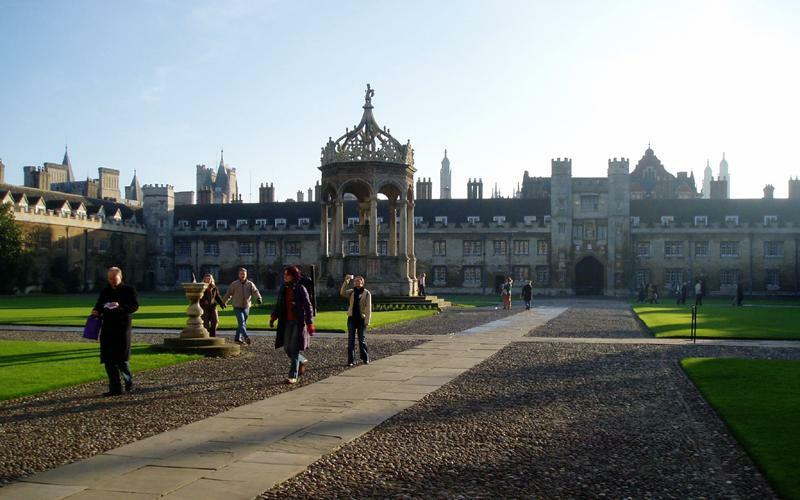 Many have tried to run the 367 metres around the Great Court of Trinity College (pictured) in the 43 seconds that it takes to strike noon which was recreated in the film Chariots of Fire – one of my favourites. The scene was actually filmed in Eton and the athlete in question didn’t actually complete the feat in reality. In fact, only Lord Burghley in 1927 and Sebastian Coe in 1988 (beating Steve Cram in the process) have ever actually finished in time. Students traditionally attempt to complete the ‘Great Court Run’ on the day of the Matriculation Dinner. No, I’m not leaving to work for the Cambridge Tourist board, but this fascinating town is truly a must-see for all you history and architecture fans!